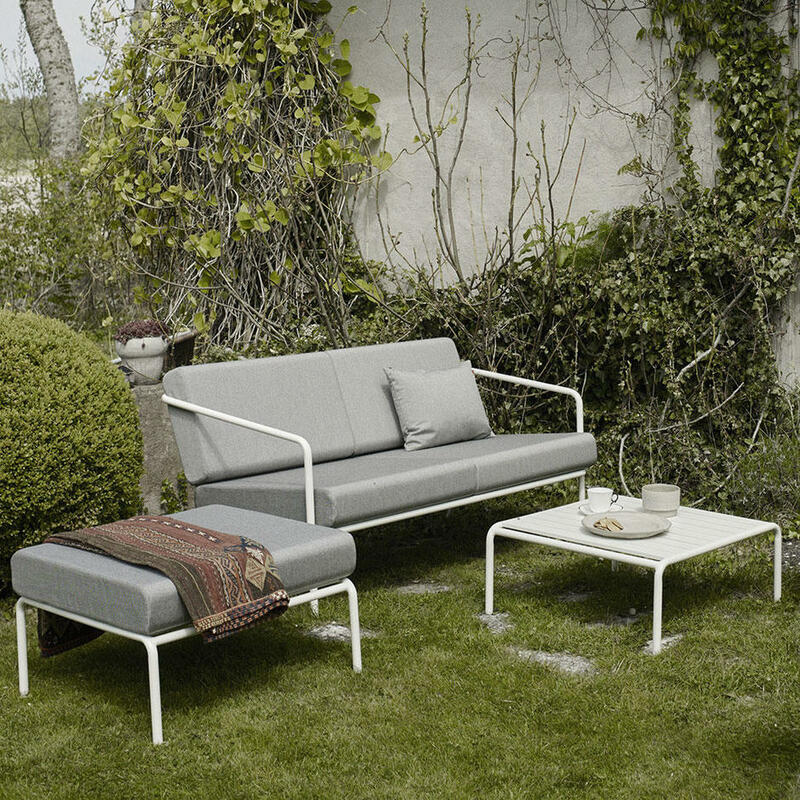 Outdoor lounge with sharp masculinity and minimalistic alignment. 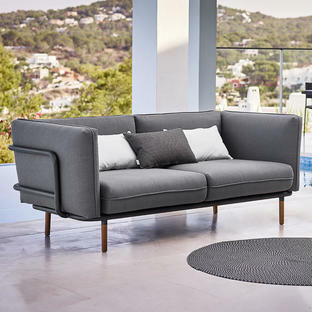 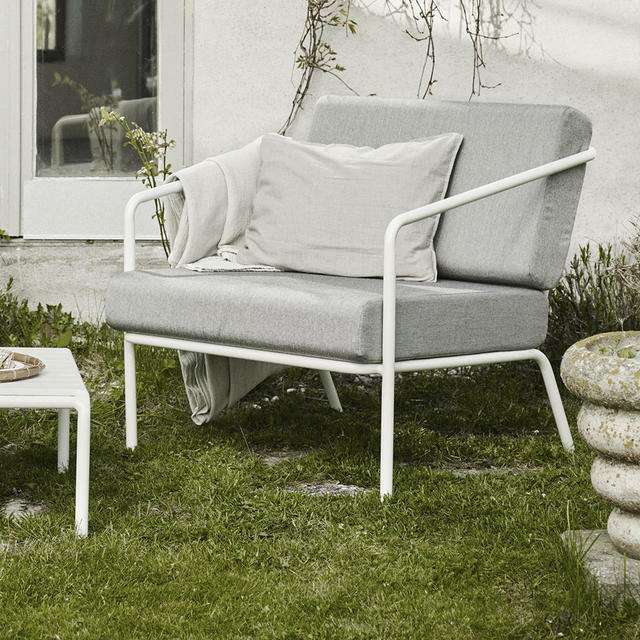 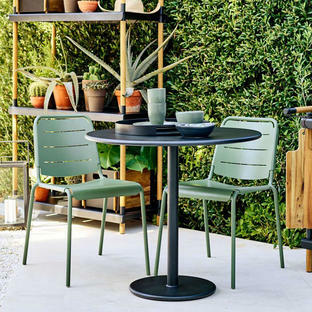 Designed for Skagerak with outdoor cushions and powder coated aluminum frame, Mojo is not easily scared by the notoriously capricious weather of the north hemisphere! 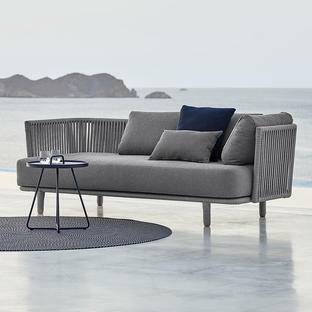 In informal settings, the lounge chair brings the comfort from the living room outside, so you can live and rest as comfortably as you do inside as well as outside. 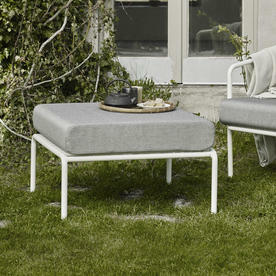 Choose from 2 seater sofa, lounge chair, ottoman and coffee table. 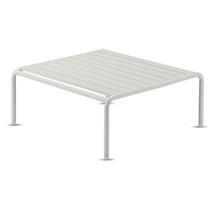 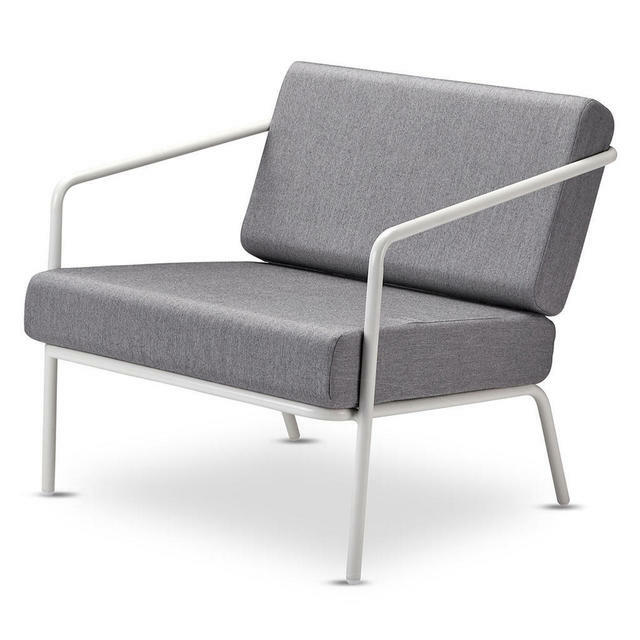 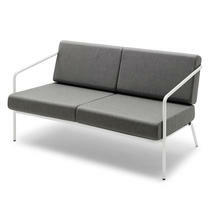 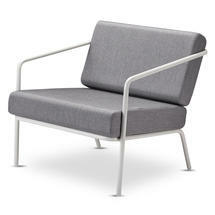 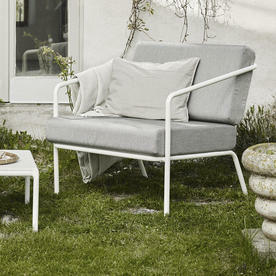 Made in powder coated aluminium in Silver white, with deep comfortable cushions in Skagerak outdoor fabric. 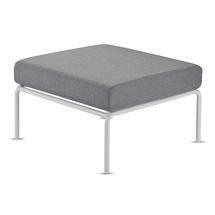 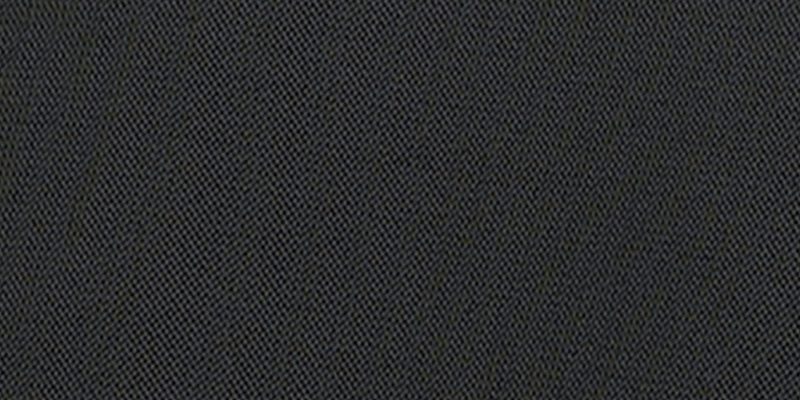 Scatter cushions are also available.